On May 14-15, 2018 I attended my first-ever quilting class. 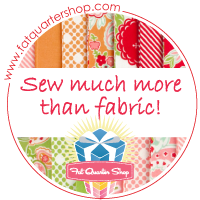 It was held at Over the Top Quilting (OTTQ) in Cedar Park, Texas (west Austin). I found out about the class late last year from one of the quilting FB groups I belong to and scheduled immediately to save myself a seat. Good thing too because it sold out quickly. The instructor was Claudia Pfiel from Germany. I had never heard of Claudia. Turns out she teaches at the International Festival in Houston and her quilts have won ribbons around the world. Like 1st place-in-Dubai around-the-world. Wow. This lady is truly an artist. For the benefit of you locals, I took the 130 toll road and the stupid GPS on my car brought me out in South Austin at 8:30am. Fortunately I was really early and made it in plenty of time for the 10:00 class. For you non-locals, Austin traffic is HORRENDOUS during rush hour – or any hour for that matter. IH-35 even has multiple levels and traffic just comes to a complete stop on the highway as you come into the city limits from either direction and you just creep. You better have well-planned bathroom breaks! Once I got through the traffic jam, the rest of my trip was done almost completely on toll roads. I switched over to the GPS direction lady on Google Maps on my phone and she gets me exactly where I need to go every time. She even tells me which lane to be in. Love her! There were a total of 30 ladies in the class of all skill levels. Some quilted for money and some don’t have a machine yet. I detected one “quilt police” lady and promptly avoided her. The sweet lady that sat next to me had a sit down mid-arm machine and was just a beginner. I think the farthest distance went to a lady from Colorado and I did talk to several from the Houston area. That’s my arm in the red shirt in the bottom left corner at the end of the table. I was in the office area during a break and I overhead one student talking to the co-owner Chris asking about advice having to do with leaders. She said, “My cousin has this STUPID Tin Lizzie and I can’t understand whether to pin or do a zipper.” You know I couldn’t let THAT go! LOL So I chimed in smiling with, “Well I have not ONE but TWO of those stupid Tin Lizzies and they have nothing to do with the leaders!” Chris was like, “WHOA! I’m not getting in the middle of this!” LOL Another student was standing there and burst into a belly laugh at the faux paux. I gotta stand my ground you know? No worries, it was all in good fun. The lady sitting next to me said her neighbor has a Tin Lizzie and loves it. In fact, two of the ladies there with the same high-end machine (I won’t mention which one but it’s initials are HQ) both complained of having performance issues with theirs and were complaining about the lack of local tech support, etc. Just goes to show that spending a lot of money doesn’t necessarily guarantee not having issues. Both of my girls are running just fine thank you very much! My frame is another story but I’ve covered that ad nauseum in previous posts. Sisters Susan and Chris, the owners of OTTQ were wonderful hostesses. They are both so nice! They had set up a large TV screen and Susan did a wonderful job of manning the camera both days so we could see up-close what Claudia was doing. The classroom was bright and had lots of space. There were two restrooms so if you timed it right, there was little to no line. The classroom was beautifully decorated with quilts made by Irene Rodrick, the featured quilt artist of the month at OTTQ. She has a very modern style. We had lunch brought in both days of sandwiches, chips, fruit, and sodas/water and Susan and Chris even scheduled a dinner at Texas Land and Cattle restaurant the first night. I went to dinner with them since I was staying at the Holiday Inn Express overnight. There was no way I was driving 4 hours home and back between the days. About 8 of us went to dinner and had a great time. And here I am next to the master herself! Now for the meat of the class. The first hour, Claudia explained her theory and basic inspirations, shapes, and styles. It’s funny how overwhelming FMQ can be but when it’s broken down into baby-steps, it becomes so simplistic and certainly less intimidating. Of course, that’s in theory. Once you get behind the handles, it’s another story. Her first rule was P-P-P! Practice, practice, practice! We were told to bring a sketch book and pencils and I used about 6 of the gridded pages in my Scrappy Project Planner. This is the same book I log my daily sewing activities in. Claudia had six bound booklets that we purchased that showed the basics of her designs too. She is a wonderful instructor and checks with the class frequently to make sure we understand what she is doing and how. It’s mesmerizing to watch her work. She lets you ask questions as she goes and then even allows you to come up close and personal to see exactly what she’s seeing in the foot. Her English is very good and she has a great sense of humor. On the second day she showed how she colors on silk to create appliques for use on her quilts. It was great to watch her do borders, corners, and circles. She demonstrated a use of pounced stencils I’d never considered. How does she make her feathers look so effortless? A fascinating thing – she always floats her quilts. They are loose and floppy on the machine because she doesn’t even use side clips. There’s so much give in her quilts, she takes her index finger and pushes it up from the underside to pinch a bit in the top with her other hand. Then she knows the tension on the frame is right. After she takes the quilt off the longarm, she soaks them down with buckets of water to block them, and then cuts them after they have dried for 5 days. Of course, she’s over in Germany and doesn’t have AC. Our quilts here would just mildew! A real treat happened on the second day when a quilt she had sent away to be judged was FedEx’d to the store and she shared the judge’s comments with us. It had not won, (she knew it wouldn’t), and to me, it gave great insight into the mentality of not beating yourself up if you don’t win. All of the comments were “Excellent”, “Great”, “Very good” with no improvement areas and yet she didn’t win. However one of the ladies in the class stated that had happened to her too but when she saw the competition, then she understood. Claudia says the birth of this quilt was from a frustrating time with a family member and she just went into the studio and started sewing scraps together. As you can see, she quilts with silk most of the time. Look at her binding method. She sews a strip of fabric around the quilt and then folds it over and hand stitches it. Here is the back of her quilt. It is just as beautiful as the front! She had several samples on display and to pass around. In all, I’m very glad I attended this class. Even though it was more lecture than actual time on a longarm machine, I learned a great deal and can’t wait to put those new lessons into practical skills! Great POST Becky! I am sure you enjoyed and learned more than you realize! FMQ is fun and I enjoy my HQ LA and the remade frame by Clay! When doing nothing (LOL), always take out some paper and pencil and doodle and you will come up with some neat designs that you can train the mind to do on your machine. Sorry you are still having frame problems. I belong to the Austin guild, but would never attempt to go to their meetings – they are at night!